Weekly Challenge #230: "Let’s all be ZenDivaDala"
Hello Everyone! I am so excited to have this opportunity to guest blog for the Diva! Over at my blog, The Bright Owl I host a weekly Zendala challenge called the Zendala Dare. For those of you who aren’t familiar, a Zendala is a mandala that is filled with tangles. The word mandala is Sanskrit for “circle”. A mandala is a form that is completed in the round and is usually but not always symmetrical. Mandalas can be found in art, religious imagery, architecture, and numerous other places. When completing a Zendala there are a few things to keep in mind. First, and most importantly, do what you feel is right. You can choose to fill each group of shapes with the same tangle, you can alternate between two, or choose a different one for each shape! The choice is yours. Second, remember that the template provided is just a guideline. If you find that your lines vary slightly from the template, just go with it. Sometimes this creates the best Zendalas! Third, as a veteran Zendala artist I know that it can sometimes be difficult to fill the smaller shapes of the template with a grid or border. Don’t be afraid to break down a tangle and fill your shapes with just one element of that tangle that you find appealing. 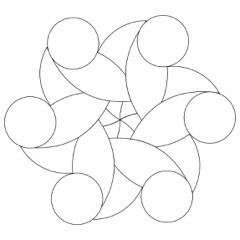 Below you will find template for the Zendala. Below the picture you will find a link that will take you to a PDF where you can print the template. The template is available in 3 sizes. 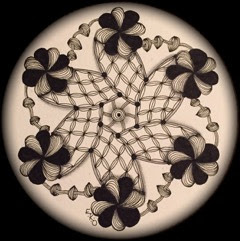 A square that will fit on a Zentangle tile, a circle that fits on a Zendala tile, and a third size that is appropriate for larger pieces (approx. 6.5 x 6.5 inches). You can tangle directly on the paper or transfer the template to a tile or art paper using this technique. For my Zendala I chose the tangles Bales, Batter, Bridgen and Mushnik. If you would like to see more Zendala templates or join in my weekly Zendala Dare, stop by my blog at www.thebrightowl.com and take a look! 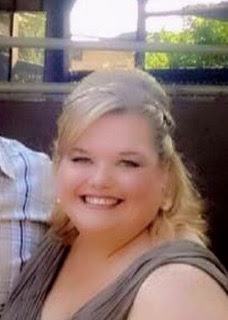 Erin Koetz Olson is a 911 paramedic and registered nurse living and working in the beautiful wine country of Northern California. 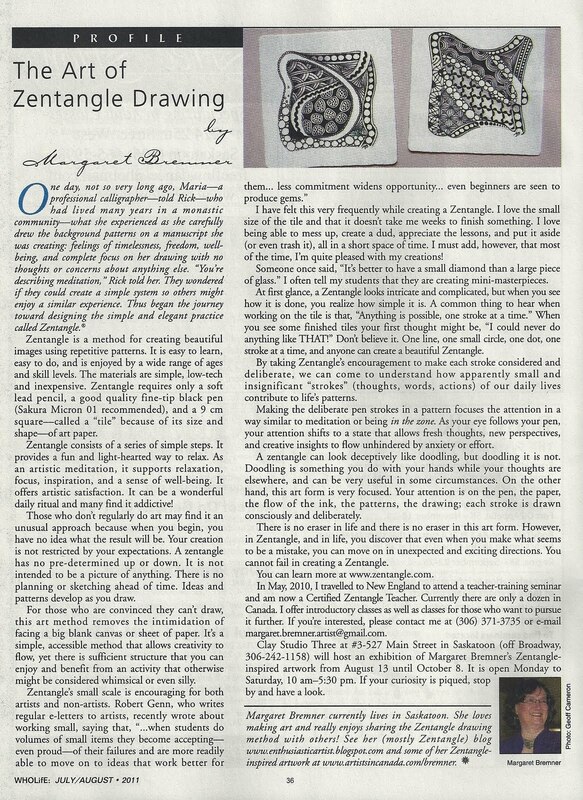 She discovered Zentangle in 2000 while searching the internet for quilling supplies and stumbled upon a CZT’s blog. Since there were no teachers in her area she decided to travel to Rhode Island and become certified at CZT #7 and has never looked back. She is author of The Bright Owl blog and host of the Zendala Dare. Wow, Erin, what a pleasant surprise to see your here on the Diva's blog!!!! Your zendala in beautiful, great chosen tangles!!! I just tried to download the template but the is a message that says that the file is moved. I can download the 'normal' templates all the time, so maybe you did something wrong!? HAPPY, HAPPY, HAPPY! I LOVE your Zendala Dares and was really thrilled to see you as the guest blogger this week! Lovely zendala!! I tried to download the pdf and it says it is corrupted. Not sure if I can do this challenge but am eager to see others' work!! Got the template, had at least three ideas before I got going but it really was good fun. Thanks, Erin, for a great Challenge. Thank you Erin for a fun challenge ! Lovely template and your tile is so pretty ! An excellent challenge. I really needed this today. Having the roof re-done which will be great this winter when El Niño comes to visit but kinda noisy right now! Oops! I never thought I would do a zendala. And now I have done it! Thanks to you Erin Olson! Thank you Erin for a great challenge. Uniformity, regularity, precision, perfect balance - NOT SO MUCH. I like to let it run wild and oh, what fun. Thank you Erin for the great challenge. I know your blog and the zendala dare but never made a zendala until now. This is my first one and I really enjoy the process. So I think I will do more zendalas in the future and join the Zendala Dare. this challenge is very fun. Thank you. Thank you for the template! This was so much fun! Off to look at everyone's creations! Thanks for the template, Erin! I love your zendala dares! They always take me outside of my comfort zone!! Dear Erin, thank you very much for this template and this challenge - it was so much fun for me! Thank you for this fun challenge, Erin! I'd been wanting to do a zendala so this was nice opportunity. Great challenge Erin - thanks for the inspiration! I just read how you created Batter, Erin. Great story, not many people willing to share about their dreams. My Mom used to call that imagination coming alive. You just keep these great templates coming, THANKS. What a fun challenge! I was a little scared at first but wow! I'll be flowing along with Erin's weekly challenge from now on too! Such a great challenge, Erin, thank you very much for it! I like your blog a lot, too, and although I am only tangleing since a short time I already did one of your zendala dares (# 66) and loved it. Hi, Erin. What a pleasant surprise to find you as the guest host on the Diva's site.Now I can kill 2 birds with 1 stone. I love doing both the Dive's Challenge and the Zendala Dare every week, (along with a few other challenges) but don't always get to do them all. This way I know I'll have at least 2 done. And welcome back; I really missed the Dares whie you were busy elsewhere.